Bigger the property, higher the cash flow? 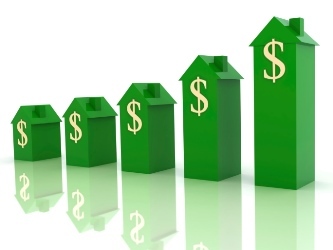 Conventional thinking dictates that the bigger the condo or apartment, the better the opportunity for an investor to make it cash flow – but one expert suggests that the reverse may be true. “When you go bigger and larger, you increase your carrying costs for the property because your mortgage costs, maintenance fees and property taxes go up significantly as well,” said Freedom Malhotra, founder of Condo Planet, which specializes in condos. A real estate developer in New York told the Wall Street Journal earlier this month that he is confident that the 4,386-square-foot penthouse is the moneymaker of his lower Manhattan condo building, on the market for $13.888 million compared to the building’s other units, which start at $1.4 million. “Often an investor is better off buying an 850 sq. ft., two-bedroom condo in Mississauga than paying more for a 950 sq. ft. condo because the extra $50 or $100 they expect to get in rent for the larger unit does not make up for the extra costs,” added Malhotra. More importantly, it’s much harder to rent condos or apartments above a certain price point. “The sweet spot for two-bedroom condos for rent in Mississauga is currently between $1,550 and $1,750. And don’t think you can justify higher rent by upping the amenities and features in the property. “Of course, tenants will compare your condo with other condos in the market and agree to pay slightly more for yours if it has a better view, stainless steel appliances, more square footage, a better layout, etc., but it’s the market that ultimately drives prices,” says Malhotra.